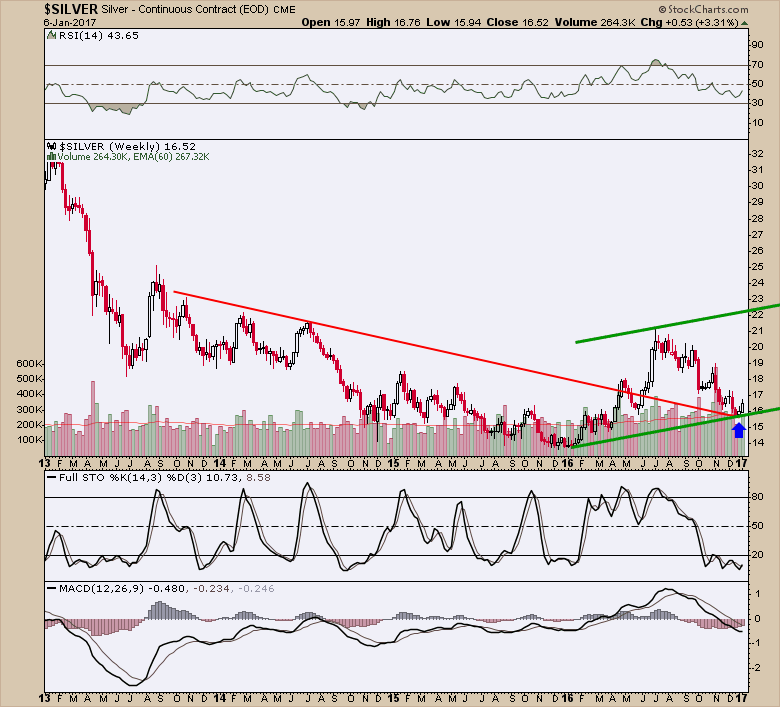 It has been a long time since Thirdeyeopentrades commented on the gold market, here at Gold-Eagle, and it looks like now is an appropriate time to make a return! How far this new gold and silver bull goes is anyone’s guess. But I see the makings of a new cyclical bull market that can rise well above the lows recently established. 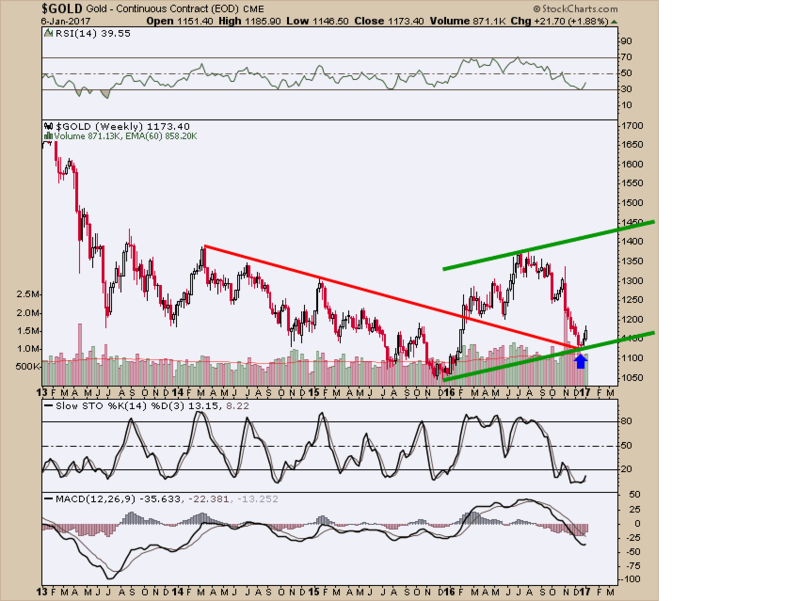 I see a new channel underway for gold, now that a pivot low has been established. A stop can be placed underneath the rising channel, just in case I’m wrong about a new bull awakening. Last December’s pivot low made a perfect back test of a three-year resistance line. This is how new bull markets awaken. 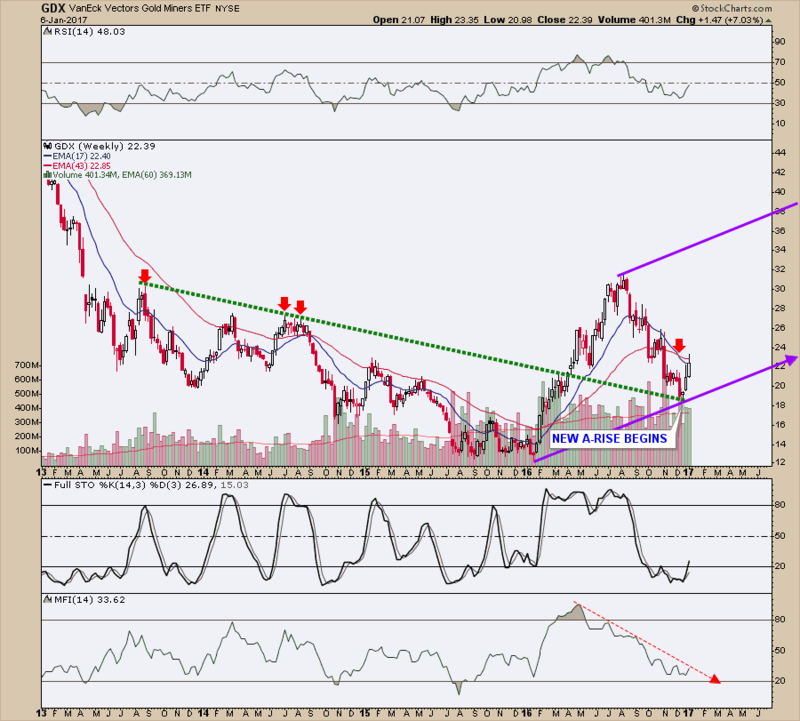 A similar channel is emerging for silver, off a similar pivot low formation from a nearly perfect back test. A stop can be placed under the channel, just below $16.00. During bull markets, at least the powerful ones, the gold stocks develop much more strength than the underlying metal. For this new bull market, if one is truly starting up again, I want to see that red dashed resistance get taken out. 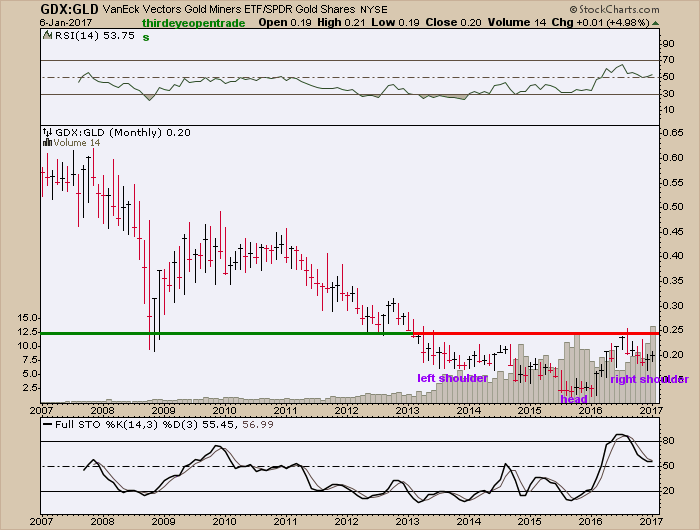 For gold stocks, I like using GDX as I trade this and NUGT (triple leverage) during bull rises. Thirdeyeopentrades newsletter subscribers receive price targets, and we like to offload positions into those targets, not exactly at them. It’s always best to leave a tip on the table for the next guy or gal taking your shares. Some people like to see resistance areas get penetrated before climbing aboard, I prefer to speculate a bottom, and then place a tight stop underneath it. I think we finally have such a bottom. 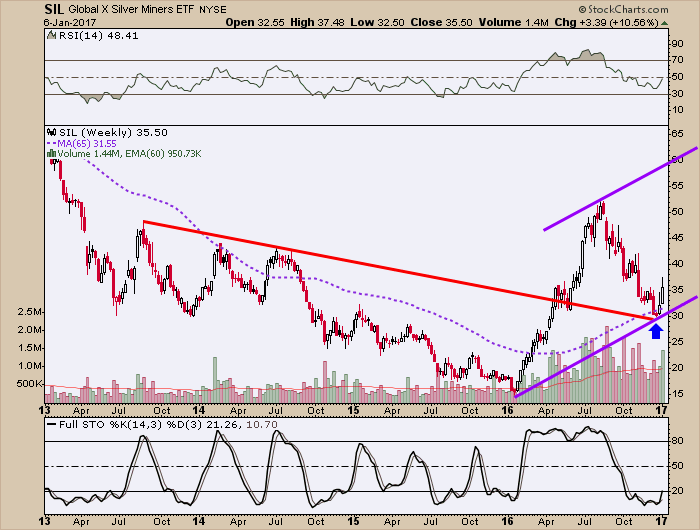 Silver stocks act much stronger than gold stocks during bull markets, so picking up shares early really helps. This ETF contains a large basket of silver stocks. As you can see, its chart pattern is just like the others include in this essay. The Thirdeyeopentrades newsletter is distributed each Sunday to subscribers, 48 issues a year (take 4 weeks vacation). Occasional intra-week updates occur as necessary. A comprehensive Thirdeyeopentrades free public chart list is well maintained at stockcharts.com (https://stockcharts.com/public/3267041) but newsletter subscribers benefit from weekly commentary and charts that aren’t made available to the public. The newsletter covers markets other than precious metals, as well as swing trading ideas being offered inside and outside the precious metals market. One good 10% gain on a $2,000 trade pays for the annual $200 subscription. A three-month trial for $60 is also available. If you choose to subscribe during January 2017 and mention that you saw this Thirdeyeopentrades essay at Gold-Eagle, an annual subscription will be offered at $150. I wish you a wonderful New Year, one filled with good health, wealth and prosperity! * Thirdeyeopentrades is entertainment; make your own trading decisions.